No word yet on price or release date. In the meantime, feel free to weep with joy! Yes. and that's quite the good surprise, as they usually wait for a 15th anniversary before releasing any merch about something. 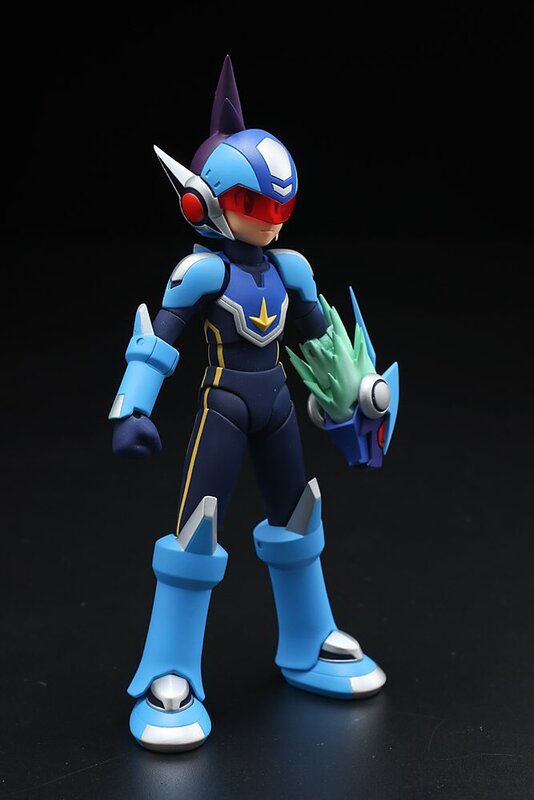 Dude Starforce toys have been out for a while now. I'm looking at my leo and pegasus figures from takara tomy now. It'd be really cool if the MM Legends figure came with a servbot. Will be purchasing Volnutt. Even though the Score homemade figure I have is fantastic! Was hoping Figma would do Volnutt, but this is good too. I am so excited about this! 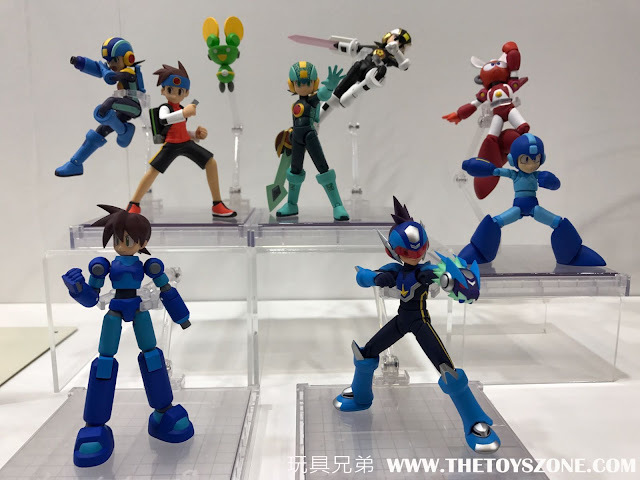 Fingers crossed for a protoman! Be original Voluntt you bum, quit stealing X's color beam. To be fair tho Geo did steal the green beam from em. Nice surprise. i was'nt expecting star force due to their policy at capcom about derivated products. I think the style of theses sentinels 4inch figure actually fit better on shooting star rockman than on some of the others. 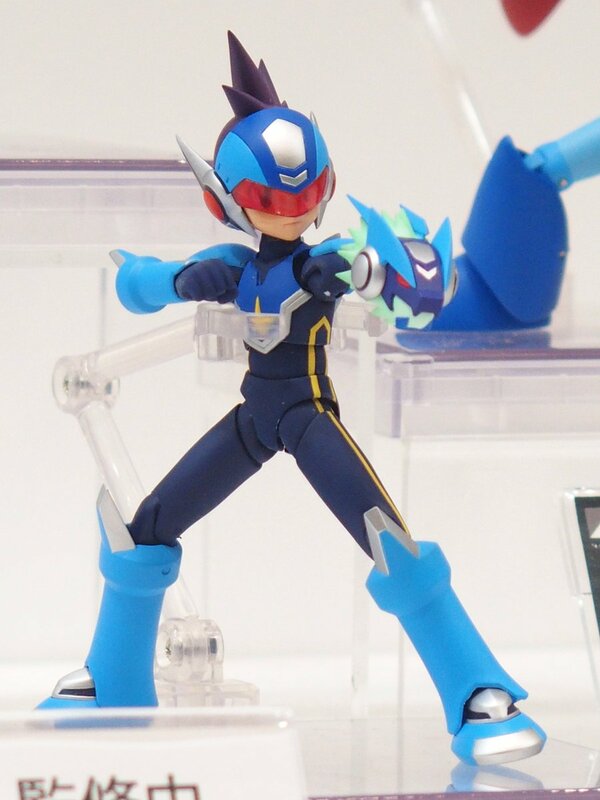 I'd rather they produce more of the Super Megaman/Cutman 2-pack so I won't have to shill out $200 to those eBay pirates. You had the option to pre-order direct from http://gentinel.net/en/ did you not? If I'd have known about it while the pre-orders were active, I would have. It sickens me that that particular set was so exclusive and the window of opportunity was so small, and yet online stores are crawling with .EXE figures, NYCC .EXE variants and Lan Hikari figures. All of which I wouldn't wipe my backside with. 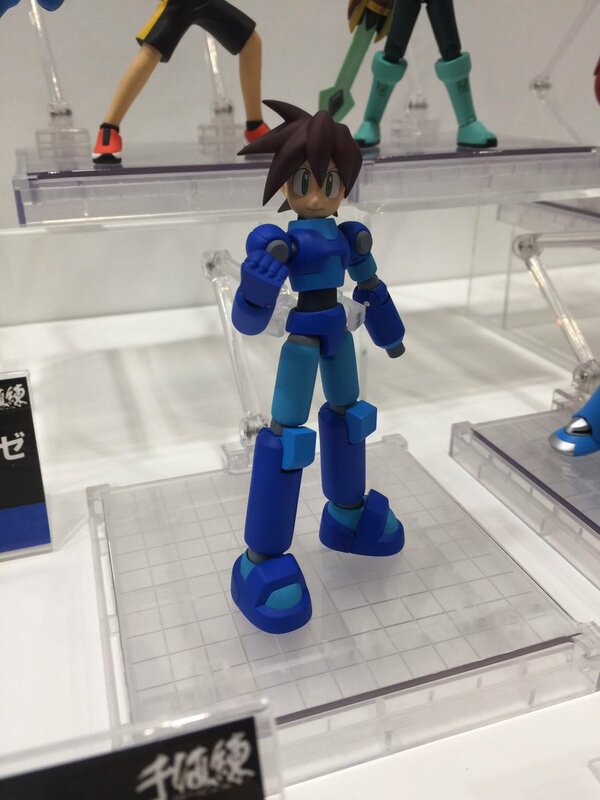 But I'm sure Sentinel's next logical step is to make Megaman Zero/ZX figures. And as usual, that'll be the end of the entire line as we know it. Agreed. I was hoping because I neglected to pre-order I'd be able to find it somewhere, I look for it every time I go to Akihabara but all I ever find is Classic and .Exe. Oh man, is that a Megamix Cutman? That's rad! It is, and it's already out but it was an online exclusive. After market only, now. I'm tearing up at the sight of Star Force Mega Man, I cant believe we did it, I can't believe we got Capcom to do something nice for Star Force in 2017. Getting both Volnutt and Geo day one, my 10+ year old Wave Battle DX figures can finally rest! I knew a Voulnutt 4-inch nel was going to happen eventually but i'm surprised it is happening so soon. Well this changes my action figure plan... Voulnutt is now my TOP priority! The fact that X comes out two days after my birthday.... Oye. Will require him!!! Do you know the exact release date of the nel x? I thoyght it was undetermined. Really nice they are making Ryuusei and Dash figures.I hope they make a Zero figure too, I know we have a lot of Zero figures already but I want the 4Inch-Nel version. Oh this is fantastic! I love this line! If that picture tells me what I think it does, then X is to scale with Original! I was afraid they'd be the exact same size. This looks fantastic. I have most of these mint in box, except for Site style and that weird amusement park variant of Rockman.EXE. So tempted to open them. Geo's inclusion makes me wonder if all that copyright stuff regarding Star Force got sorted out. Woah... they actually did a Volnutt? I'm quite surprised as stupid Capcom have been dicks on not allowing any company make any Legends related figures, let along Volnutt himself. But something looks off to me? I think its the eyes, they make it look too cartoony. Starforce I'm not surprised as it was like a given as EXE was made so would be Starforce. 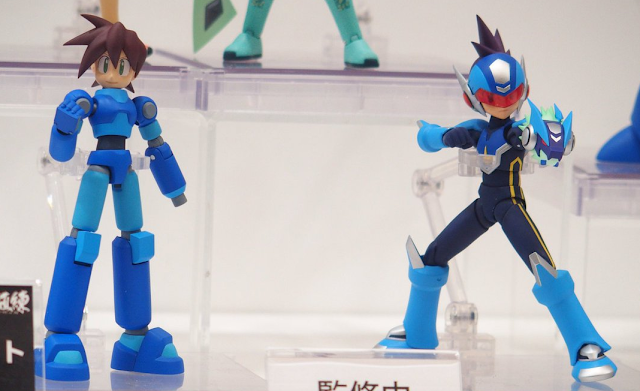 But I had a feeling they'd be doing Volnutt and Starforce in order to do that Megaman final combo from Smash. But also what annoys me the most of the line is the scale. I know theyre all 4inches as that's the concept of the line but with that it just makes them out of scale with each other. 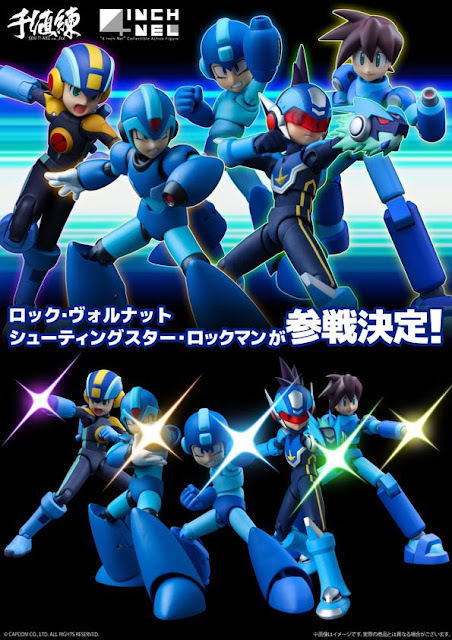 Like X is not at all the same height of classic Megaman. Nither is Volnutt is the same height of X. I might get the Volnutt, but I'm much more happy with my Volnutt kit as its a lot more in scale with my D-Arts X which is accurate. Why does it have to be Capcom not allowing companies to make Legends figures, what if companies just don't want to make Legends figures? Were is the direct proof for this accusation. I think Volnutt's 4-InchNel is based on his Legends 1 design, which had a slightly younger face. I'm kind of glad, because I'm not a fan of his Legends 2 backpack. I wonder if it will include extra parts to replace his hair with his helmet? Even if it doesn't, I'm definitely picking it up. 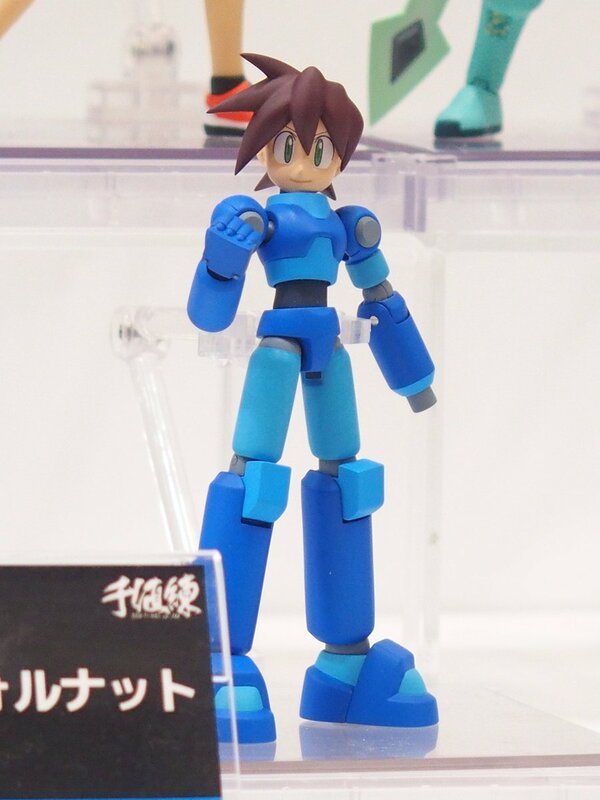 Perhaps they will do the same thing with Voulnutt they did with Rockman.EXE. Make a 4inchnel lite figure (Roll?) with accessories. Year after year, Classic and X figures after Classic and X figures I've asked for Volnutt to receive his own, quality figure. Guess it's time to put my money where my mouth is. Sentinel doesn't mess around do they? 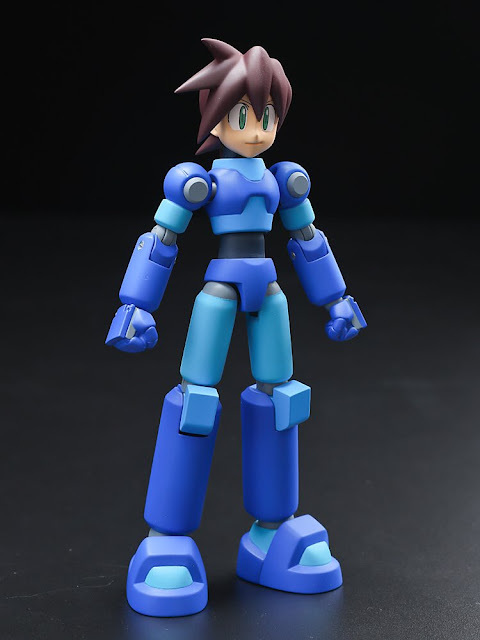 I may buy two of this Volnutt figure. One to mess around with and one to keep mint in box FOREVER. I'm not a fan of Volnutt's look in general so a figure really isn't appealing, but SF is so close to looking perfectly fine but 2 things kill the design, 1. the stupid 2quater complete helmet and the imo ugly mohawk-ish hair. 2. the damn Omegaxis head buster gun, which they fixed with SF3 but is now showing its no pun intended ugly head again. I'm absolutely ecstatic that Volnutt and Geo are finally getting their time in the spotlight. Legends is my favorite subseries and one of my friends is a big Star Force fan. ZX has been getting dodged nonstop since 2008 unfortunately, I haven't heard of Capcom doing ANYTHING with ZX since Advent, Star Force gets stuff too few and far in between, and this figure is easily the biggest thing we've gotten from it in years, but I do take time to appreciate that the Japanese side of Capcom does show it some love every blue moon or so, whether it's making appearances in new official art, having Sonia and Luna cameo in Sound Rangers, The Special selection CD that not only gave us some select OSTs but also new art featuring the cast post MMSF3 which was heartwarming AF, and even recently putting out 10th anniversary art(Keep in mind ZX turned 10 earlier the same year and nothing was done to mark the occasion.) and having a Luna themed item in the Capcom Bar Valentines menu, I don't feel like they do enough for Star Force, but I can admit that they do a hell of a lot more for it and treat it a lot better than ZX which literally doesn't get anything period. I remember the most obscure of events for Mega Man about a year or two ago they did this custom cake thing where you could decal your cake with an image of any specific Mega Man series except ZX, like what the hell why do hide from it? you're looking to far. 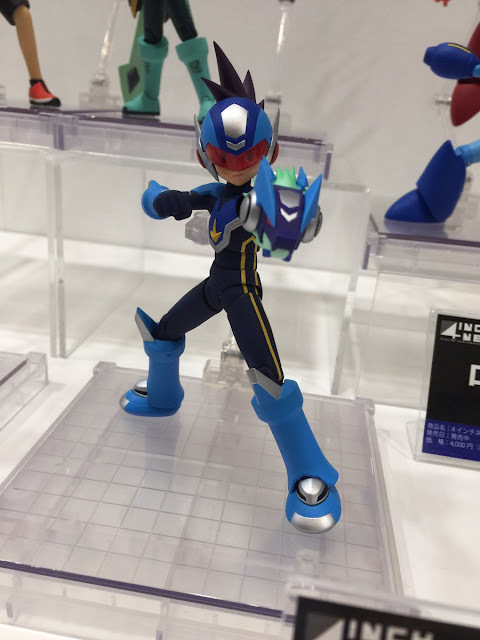 there's no merch for ZX because capcom rules is to wait the 15th anniversary before doing anything. Zx is 10 years old. That's also why we only got a few MMZ stuff recently, MMZero turned 15 one or two years ago (we'll still get more classic and X as they're the most selling, though). Protodude are you considering offering up a giveaway for these? Would love to pitch in on that. Love the shoutout to Mega Man's Final Smash there. I still want my panda color MegaMan.EXE! Awesome. I will be buying both. Hopefully we can get more of the robot masters, mavericks and more characters who aren't so common like these two. you know i think they did Ryuusei too just so that the "final smash" cut can be complete. would explain that deviation from the "no merch for Ryuusei" thing. whatever the reason, it's great !